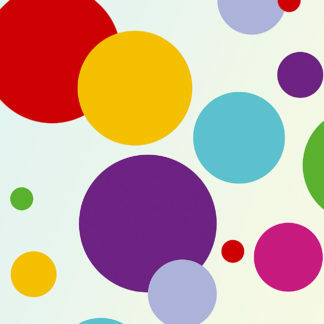 The Dots and Spots Theme Pack Stencil – contains six mini circle stencils. 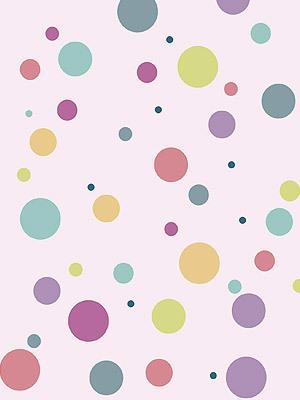 Dots and Spots are brilliant decorative motifs applied in single colours, bright palettes of mixed hues and soft muted shades. 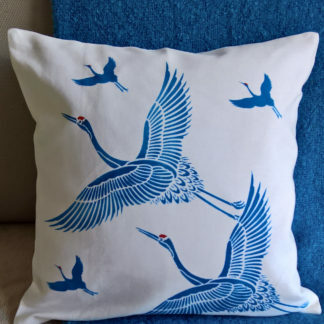 They can be stencilled as a regular pattern, or irregular random sequences – placed far apart, close together, in overlapping or concentric patterns, or used to create a range of abstract motifs. This theme pack contains six different sized dots and spot circle stencils, ranging from the smallest at .5cm (less than quarter of an inch) to the largest at 3cm (one and a quarter inches) – see size specifications below. 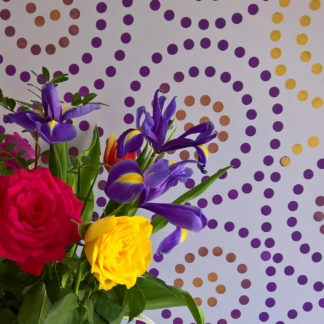 As dots and spots are never that easy to draw or paint freehand this set of perfect small circles stencils is ideal for easily applying dotty circle motifs just as you want them. 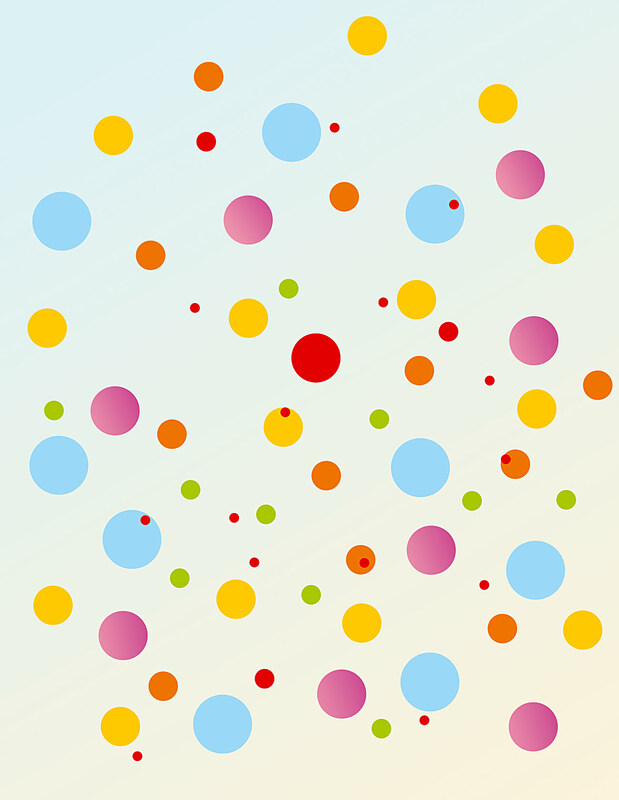 Above top – the 6 tiny circular motifs of this theme pack arranged in a random dotty pattern. 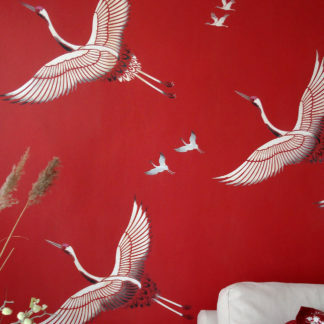 Shown in Harvest Gold, Seville Orange, Very Berry, Damask Rose, Verbena and Chinoiserie Stencil Paints. 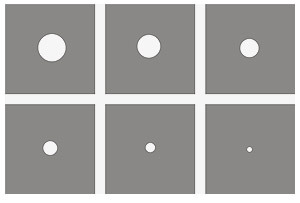 Above – the 6 motifs of the Dots and Spots Theme Pack arranged in abstract ‘swoops’ – stencilled simply in Ice White Stencil Paint on a chalky grey background. 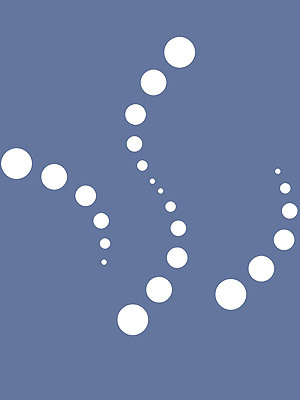 See also the Circle Stencil Theme Pack (6 larger circle stencils), Dotty Circles Stencil and the Large Polka Dot Repeat and Small Polka Dot Stencil from our range of different circles stencil options. 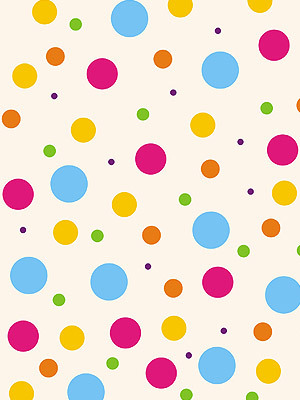 Above – the six different sized Dots and Spots Stencils arranged in a random spotty repeat, stencilled in Chinoiserie, Harvest Gold, Seville Orange, Indian Purple, Cerise and Verbena Stencil paints on a cream background. 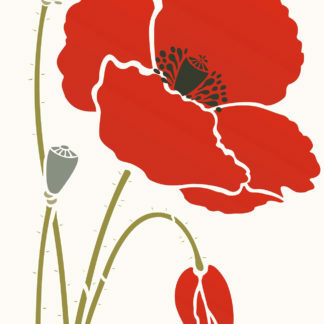 Above – the 6 different sized circles of this theme pack stencilled in Plum Blossom, French Lavender, Spring Vine, Eucalyptus, Sea Green and Butterscotch Stencil Paints on a pale pink background. 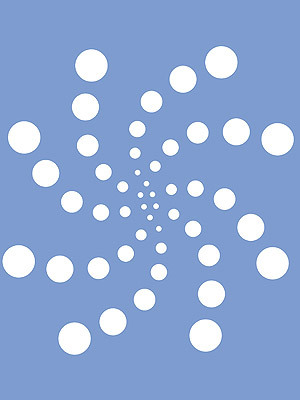 Above – the 6 different sized dots and spots of this theme pack repeated in a spiral arrangement, stencilled in Ice White Stencil Paint on a blue background. 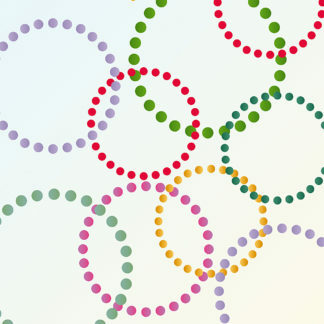 This theme pack comprises 6 dot circle stencils cut out of 125 micron mylar. Diameters measuring .5cm (3 sixteenths of an inch), 1cm (6 sixteenths of an inch), 1.5cm (9 sixteenths of an inch), 2cm (12 sixteenths of an inch), 2.5cm (15 sixteenths of an inch) and 3cm (1 inch and 2 sixteenths of an inch). 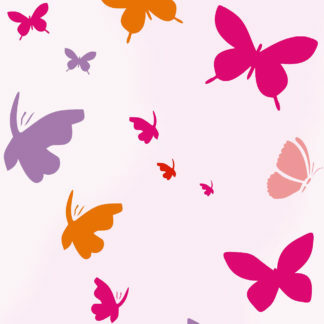 Use to create random or regular pattern effects and splashes of colour. 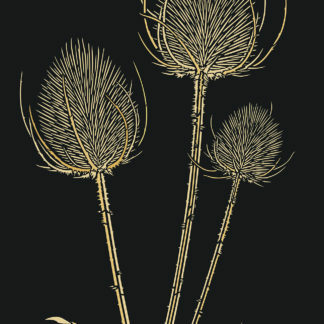 Left – the six small sheets of this stencil pack.